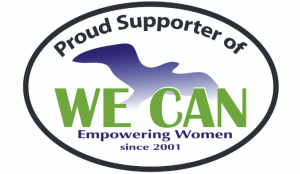 Cape Cod attorneys generously donate their time and expertise to low to moderate income women for a range of ongoing, free CONFIDENTIAL legal services through the WE CAN organization based in Harwich Port. These free legal consultations & workshops include 1:1 consultation, an individual 30-minute session, and legal workshops that address various topics such as Family Law and Divorce, Grandparents Raising Grandchildren and Landlord/Tenant issues, Immigration, Business, Employment. Most sessions require an appointment and are held at the WE CAN office in Harwich Port and through the Falmouth Service Center in Falmouth, MA. Childcare reimbursement and interpreter services available. Due to high demand, there may be a wait for individual appointments. A recent workshop created due to high demand covered the wide-spanning issue of Student Loan Debt Relief. This Free workshop was extremely well-received and will be presented again in the future. More information will be available when dates and times are confirmed. Click here for details. Another well-received workshop is Legal Issues Facing Grandparents Raising Grandchildren: a 2.5-hour workshop co-sponsored by Cape Cod Neighborhood Support Coalition and the MA Commission on the Status of Grandparents Raising Grandchildren. MA Commission on the Status of Grandparents Raising Grandchildren.